side of your chest? It’s got to be a heart attack, right? causes of chest pain to take into account. with costochondritis versus 31 percent in the control group. because the symptoms are remarkably similar. wall and may spread to your back or abdomen. this is not necessarily the case with heart attack. percent of all chest pains reported by kids and adolescents. higher risk of developing costochondritis. or her shoulders to slump, it can cause damage. activities can cause trauma to your chest wall. objects in a safe way. 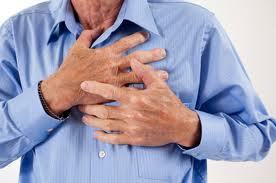 Costochondritis can be caused by a respiratory infection. infection due to a decrease in blood flow to the region. Heslop LM. ‘Atypical chest pain in athletes’, 2009). the upper body without an effective warm-up. unnecessary strain on your body until the symptoms lessen. until you’re ready to hit the treadmill pain-free. exercises for costochondritis pain’, 2009). appears to have been caused by intense coughing fits. or heating pads to relieve the symptoms of costochondritis. which the cause is still unknown. prevalence ranging from 1.3 to 7.3 percent. places far away from where the actual problem is happening. the spine wrongly pressing down on the nerves. or for sufferers who cannot take oral analgesic painkillers. costochondritis that keep coming back. costochondritis? In 2012, two doctors (Dr. R.C. Oh and Dr. J.
costochondritis also had Vitamin D deficiency.